For detail information, please refer official info at link below. 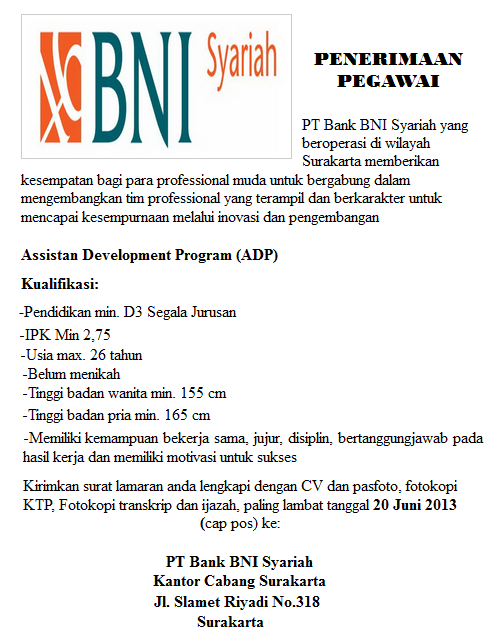 To apply, please send your application documents to Branch Office PT Bank BNI Syariah. Please be aware of recruitment scam. The entire selection process is free of charge. Only shorlisted candidates will be notified. Closing Date : 20 June 2013 at 17.00 WIB.